At 65, Frankie Banali is one of the most resilient characters you’ll ever encounter. 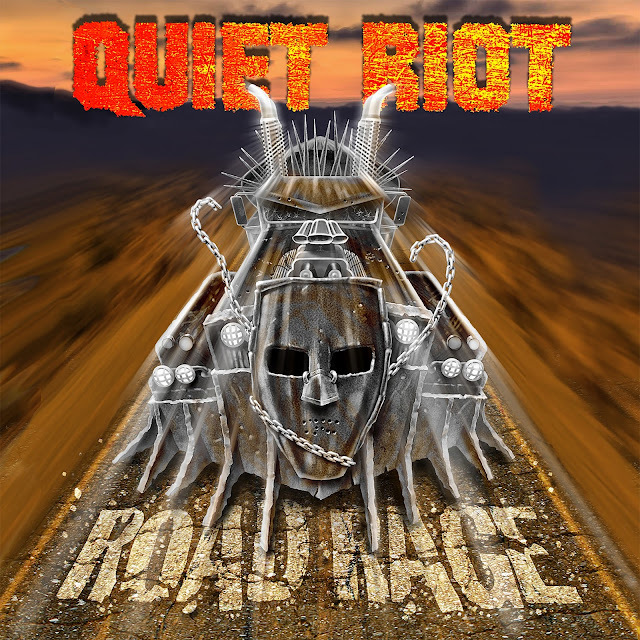 Quiet Riot started 2017 with news of a new album, Road Rage, and a new singer, former Adler’s Appetite frontman Seann Nicols (a.k.a. Sheldon Tarsha). But if there’s anything to be learned from the Quiet Riot story, it’s that few things ever go according to plan. By the time Road Rage was finally released last month, former American Idol finalist James Durbin was on the mic. Despite experiencing the typical ups and downs, Banali and company have succeeded in delivering a solid release with Road Rage, an album that offers plenty of meat-and-potatoes Rock ‘n’ Roll to keep Quiet Riot’s still-loyal fanbase satisfied. Sure, Durbin’s youthful voice doesn’t carry the same grit as DuBrow’s renowned wail and definitely takes some getting used to, but anyone willing to listen to Road Rage with open ears and minds will ultimately be pleasantly surprised by what they hear. 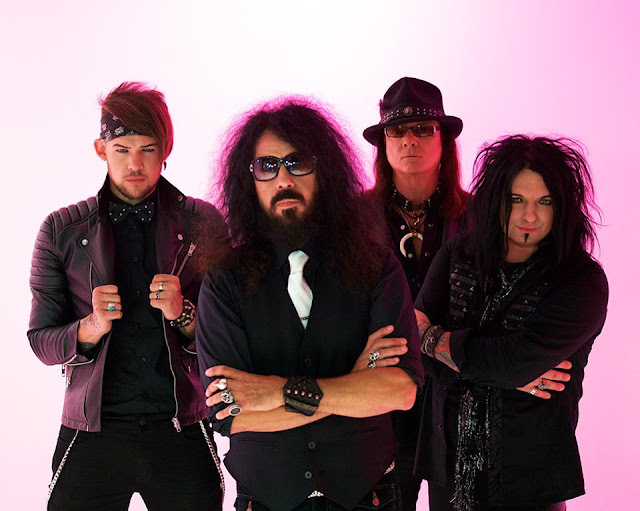 I recently connected with Banali to discuss the journey to Rage Rage and why Quiet Riot still has more than a little life left in them in 2017. Let’s start with a question you’re maybe getting a lot already about this album. Obviously, we all saw in the press a few months ago your announcement that Seann was singing on the album, and there were samples of that lineup released online. Here we are now with the album; Seann’s gone and you have James. I’d rather get it from the horse’s mouth here. Can you summarize what went down, how James came on board and what it took to get him to complete the album in a reasonable period of time? First, we have to go back to early last year. I had signed a deal with Frontiers Music to do the record, and I needed to have a new singer involved with the band, both live and for this new record. My first choice back then was James Durbin, so I reached out to him. He was excited about doing it; however, he had just signed a contract to do a residency in Las Vegas. It was going to be ongoing; it was open-ended at the time. It made it impossible for me to have James come into the band, so then I reached out to my second choice. As it turned out, that individual had just decided not to go out on the road anymore. He was happy to do the record and work on material, but he wouldn’t be able to tour. That was not going to work for me; I needed somebody for both the record and to continue to tour with Quiet Riot. Ultimately, I went with my third choice. After only five live performances with Quiet Riot, it became apparent to the entire band that it wasn’t going to work. That’s when I needed to shift gears. As it turned out, James was now available at that juncture; he was already working on a side project with Alex Grossi [called Maps to the Hollywood Scars]. I got in touch with James again, and I sent him the music to one song to see what he could come up with, and it was pretty amazing. Within the same day, he turned right around and had written original lyrics and melodies to this one song. I said, ‘My instincts were correct a year ago!’ and the synching worked out. At that point in time, I sent him all the original music that we had written. With most of the songs on this record, the music was written by myself and my writing partner, Neil Citron. Alex Grossi had written all the music to one song, and Chuck was a co-writer with myself and Neil on another track. So I sent James a blank canvas; I literally just sent him the music and nothing else. He came up with amazing lyrics and amazing new vocal melodies – and there you have Road Rage. Musically, there are a few surprises on the album – and it’s especially different with James’ voice. Even a song like “Roll This Joint” has kind of a Bluesy feel to it. Playing Road Rage back-to-back with Metal Health, it’s clear that the new album is a different beast in a lot of ways. Was that an intentional direction or something that came about as you were all working to generally develop the music for this album? When I started working on the music with Neil, I had no game plan with regards to having it sound like anything or not sound like something. As it turned out, you have songs like ‘Freak Flag’ and ‘Wasted,’ which in my opinion have some relevance relatable to the older Quiet Riot material. But then there are things like ‘Can’t Get Enough,’ ‘Roll This Joint’ and ‘Still Wild,’ which are completely different than anything that Quiet Riot has done. But I think it’s important to bear in mind that the reason that Quiet Riot continued to record – and especially from the ’90s on – was because we’ve always been a band that, while we’re happy playing the famous and well-known songs, wanted to create new music and keep moving forward. That’s what happened on this record as well. I wasn’t trying to write any particular Quiet Riot record; I wanted just to write the next-generation Quiet Riot record. Chuck Wright has been involved in the band in varying degrees for a good 35 years now. Obviously, there have been times in the band’s history when Chuck wasn’t there, but he’s been with you again quite a few years now. What do you think he brings to Quiet Riot that isn’t there without him? Chuck is an amazing bass player. There’s nothing that I don’t think Chuck could not play. What happens is, no matter what I throw at him – be it new material or when we played live and I’ll take a couple of little musical detours – he’s right there on it. He’s also a big part of the background vocal sound with Quiet Riot – on the past records and especially live. He didn’t sing backgrounds on this record, but he’s still a real integral part of the Quiet Riot sound. He’s really easy to work with, and he’s dedicated. He’s been in and out of the band for various reasons numerous times, but I can tell you that since 2004, he has been with the band. When I decided to put the band back together in 2010, the reason I went back to Chuck and Alex is that was the last version of the band with Kevin when he passed away in 2007. It was his favorite version of the band; it was a solid unit with no drama. Everyone was easy to get along with, and everybody always stepped up to the plate. That’s why I invited both Chuck and Alex to come back into the fold. This album is significant in that it will soon be a decade since Kevin passed away, and you’ve obviously been through a lot to get things back in order with this band and get it moving forward again. What has been the most rewarding and fulfilling this about keeping Quiet Riot alive? When I decided that I was going to continue Quiet Riot, I knew it was not going to be easy. I wasn’t sure whether it was going to work out…I wanted to make sure that Kevin’s mom – who was like a second mom to me – was okay with my decision to move forward. My position was that if she was not okay with it, then I would have dropped it right then and there. So I got together with her, and she reminded me of something that she said after we laid Kevin to rest and the family got together for a gathering. I have no recollection of this because I just in ridiculous despair at the loss of Kevin, but he said to me, ‘You know, Quiet Riot wasn’t just Kevin; Quiet Riot were you and Kevin.’ Once she gave me her blessings to move forward – because she knew it would also keep Kevin’s memory and the music alive – I just went full steam ahead. I made the conscious decision that no matter what obstacles were put in front of me – and there have been many, even up until recently – I’m a dedicated person, I’m resilient and I move forward. None of the success of Quiet Riot in the past would have been possible without the fans. That is written in stone. The fact that I’ve managed to be able to continue Quiet Riot moving forward after the death of Kevin DuBrow [is something] I owe to both dedication and hard work – but I also owe it to the fans. If they were not responsive to it, then there would be nothing there. One thing that’s brought attention to the band in recent years is the documentary you guy did. I always found that interesting because it’s not just about a reunion; it’s about dealing with a tremendous loss and struggles in deciding to actually do this again. Just as a fan watching it, I could see there were some very raw moments in there. Now that some time has passed, what are your thoughts on that film, what it accomplished and what ultimately ended up being featured in it? The interesting thing is that fan perception or an outsider’s perception of what a band is like and what it really is are very, very different. I think there were a lot of things that were accomplished and brought to the forefront on the Quiet Riot documentary. It’s not just a story about a band; it’s a story about people and struggles. Everybody thinks that being in a band is one big party, but it really isn’t. We’re all people; we’re all human beings who have the same problems that, in many ways, a lot of people have. I think it opened up a window to what it’s like to be in a band after the success is over, the music has died down and you’ve finished playing the show – and what it’s like to continue moving forward. It also showed that a lot of people have this perception that Quiet Riot was only the four guys on the Metal Health record. The amount of personnel that this band has gone through is staggering, and I don’t think a lot of people knew that. I don’t think a lot of people knew how much comedy was involved in this thing called ‘Quiet Riot’ – especially between Kevin and myself – and I don’t think a lot of people understood the brotherhood, friendship and bond that Kevin and I had and still do in many ways. This band has a lengthy history – more than 40 years if you go back to the original era. That’s a long track record in the music industry; that’s a very rare feat to accomplish. You have the new album and what appears to be a very stable lineup. What are your biggest hopes for Quiet Riot’s future? We’re currently booked into next year, so I see no end in sight. What my hopes are would be that this lineup continues. Nothing lasts forever; I’m a realist. But this lineup is one of the best ones since Kevin was alive; I hope this particular lineup with this particular personnel stays solid for as long as it’s possible and that we continue moving forward. Who knows? Maybe there will be a live record in the future; maybe there will be a follow-up to Road Rage in the future. I can’t predict it, and I’ve learned from experiences – especially in Quiet Riot – to never, ever say ‘never’ again. I’m really, really happy right now; I’m in a really, really good place. The band sounds great; we’re having a great time on the road, just having fun. We’re playing some great shows, and the fan response has been phenomenal. I hope they receive the Road Rage album how the record is meant. We try to put out the best piece of music that we can, and I hope people will enjoy it. Without question, one of the shining moments in Frankie Banali’s long career was his performance on W.A.S.P.’s classic 1989 album, The Headless Children. His performance on the band’s cover of The Who’s “The Real Me” stands as one of the few examples of a drummer taking on something created by the great Keith Moon with admirable aplomb.